Sorry pumpkin-spice ale. You too, Oktoberfest. In this IPA-obsessed region, fresh hop is the beer of autumn. It’s Washington’s true seasonal beer, tied very much to a time and place. The time: late August to early October during the hop harvest. The place: Yakima Valley, the hop haven of America. 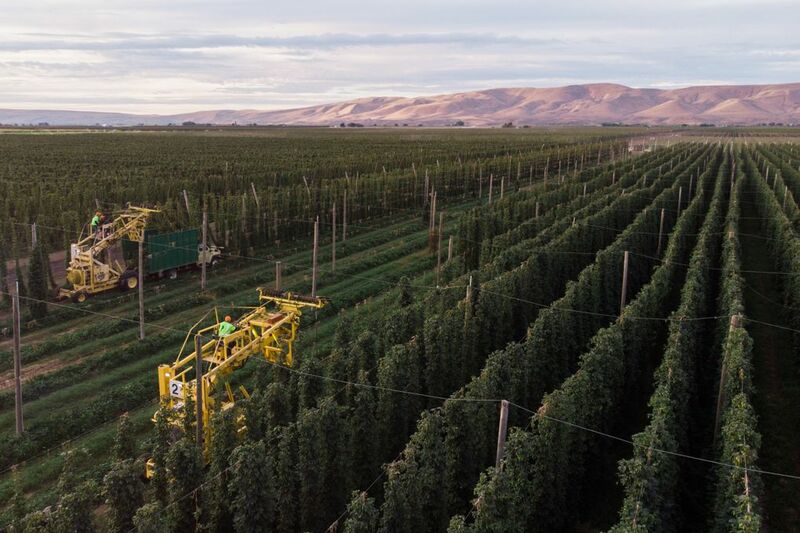 Just about every morning at sunrise around this time of year, Seattle-area brewers head east across the Cascade Mountains to one of the 45 hop farms in the Yakima Valley, where thousands of 20-foot hop stalks are chopped from trellises for their aromatic cones. Once, hop was just the boring preservative in an ale, the bitter workhorse that kept your malty beer from spoiling. 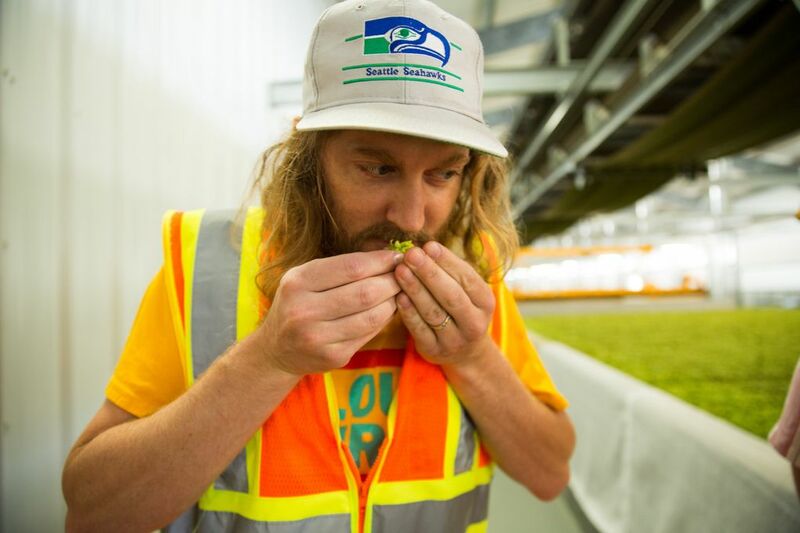 But in the last 20 years – thanks mostly to the breeders and farmers around Yakima – hops have evolved into these flavor bombs brimming with bright floral and citrusy notes, the star attraction in IPAs. Hopheads can’t get enough of them. Or find new ways to pay homage to them. Enter fresh hops. Your everyday beers are made with dried hops; the difference is as stark as using fresh herbs instead of dried oregano on pizza. The flavors are piquant in a fresh-hop beer, but without the same sharp bitter finish found in typical IPAs. 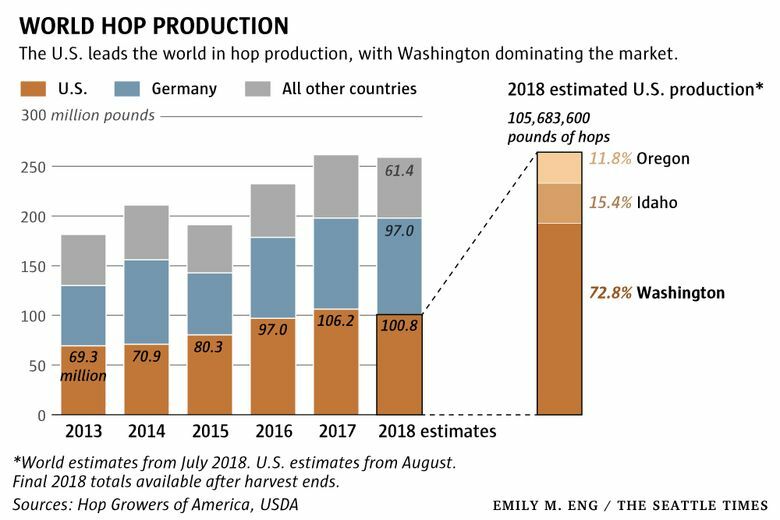 These beers are widely coveted, but few brewers can make them cheaper or fresher than in Washington state; the Yakima Valley produces 75 percent of the hops in America, the U.S. Department of Agriculture reports. 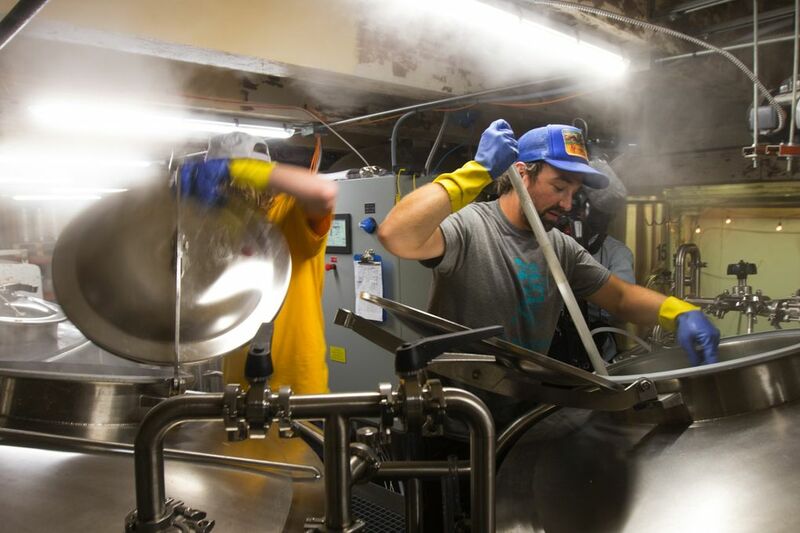 What Washington brewers take for granted is a costly logistical challenge elsewhere. Seattle brewers have it easier. 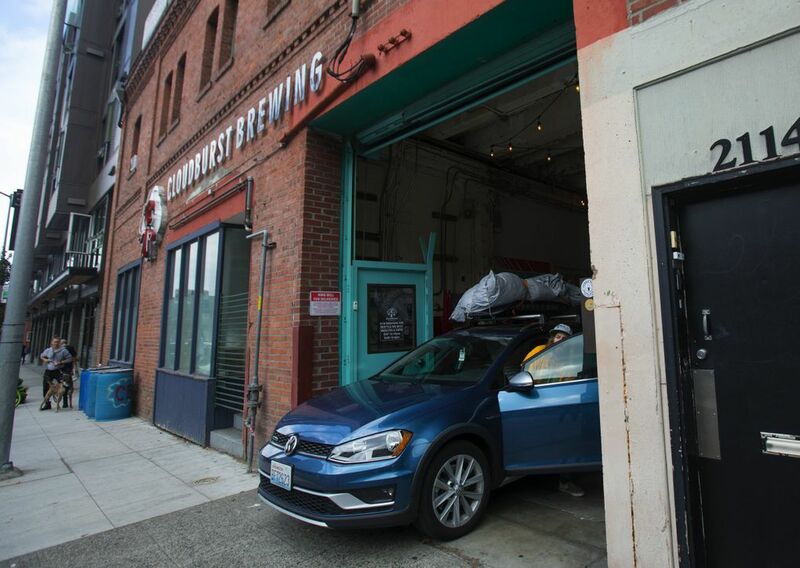 Any garage-size or home brewer can drive to Yakima and load up the Subaru with fresh hops at a fraction of what it costs other brewers across the country — as cheap as $4 per pound. Brewing this crop in its natural state is a race against time. Once plucked from the volcanic soil, these conical flowers will start to die. 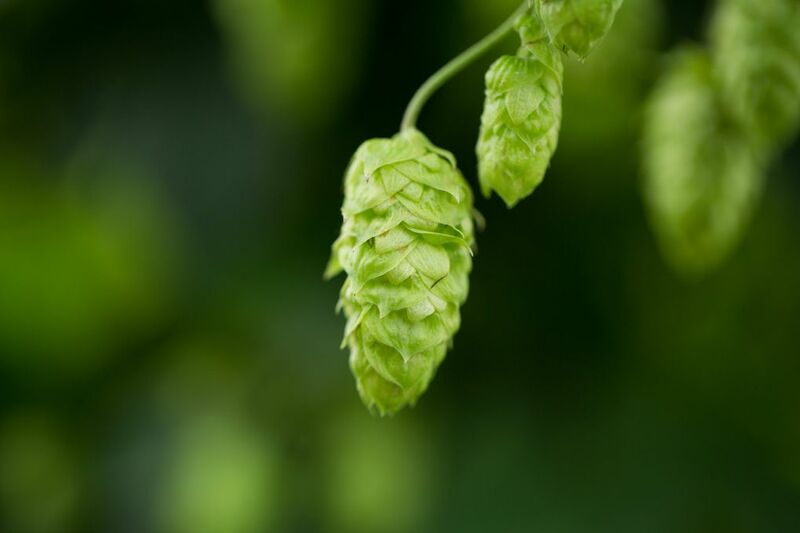 Brewers have seen their hops decompose while being stuck in Labor Day traffic or because their van’s air-conditioning couldn’t cool the cones from the valley heat. It can be a heartbreaking beer to try to make. “It’s the most labor-intensive beer,” said head brewer and owner Steve Luke of Cloudburst Brewing in downtown Seattle. With his mountain-man beard and a parenthesis of a shaggy mane, Luke is a rising star when it comes to hoppy beers. His fresh hops have medaled at the prestigious World Beer Cup in Nashville and at Yakima’s Fresh Hop Ale Festival. To get to that level, a brewer has to orchestrate a complex process. 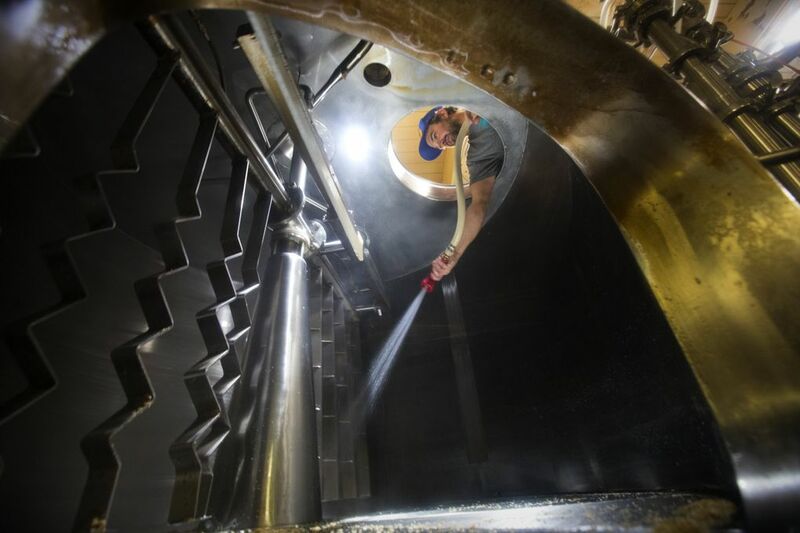 For instance, one August morning, Luke rose at 5 a.m. to coordinate with his brewer, Zach Kornfeld, who would get the batch started at their Seattle brewery while Luke dashed off to a hop farm. 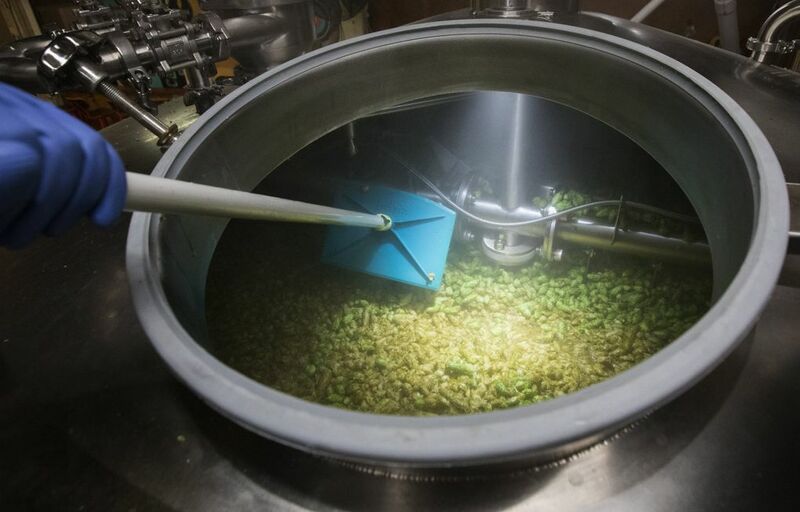 The two had to be in sync so that the penultimate stage of brewing could begin at 12:30 p.m. — knock on wood — as soon as Luke returned with the fresh hops, ready to dump them into the boiling tun before the fermentation. The clock started the moment Luke left his Phinney Ridge home at 5:30 a.m. 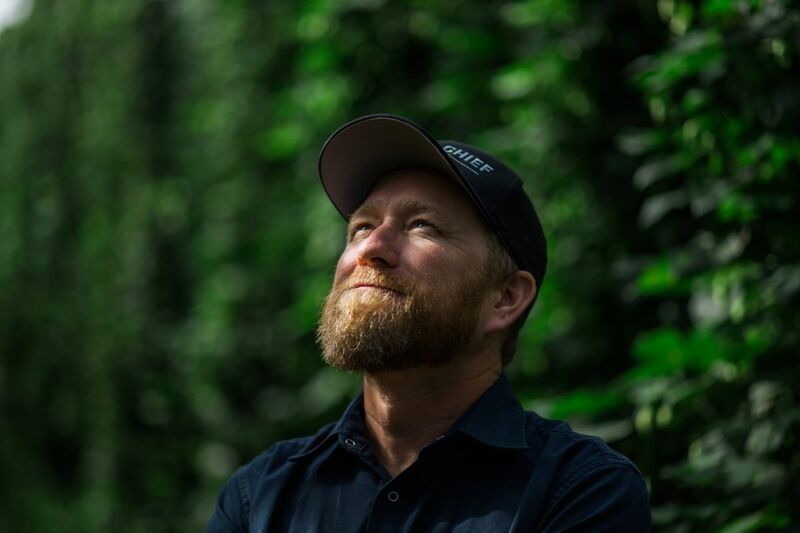 Meanwhile, 166 miles east in Toppenish, just outside Yakima, Luke pulled into the parking lot at Perrault Farms, where he was greeted by legendary hop breeder Jason Perrault. A fourth-generation farmer, Perrault is responsible for breeding or farming three of the top 10 varieties in the country. Veteran brewers have anointed him one of the most influential figures in the beer world. With all the new hop varieties he breeds, Perrault dictates what IPAs will taste like. One variety he helped bring to the market is Simcoe, a grapefruit-like bitter hop that was considered so pungent, Perrault couldn’t give it away 20 years ago. Then in the mid-2000s, craft-beer pioneer Russian River Brewing in California used Simcoe to compose some acclaimed IPAs, including the cult favorite Pliny the Younger, considered one of the world’s best beers. The reputation of both Simcoe hops and Perrault himself skyrocketed. 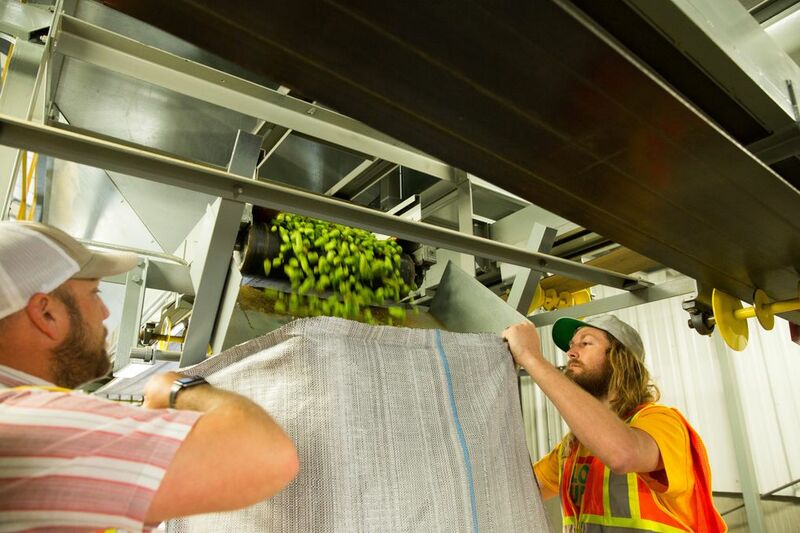 On the first day of the hop harvest, Luke scored Perrault’s prized organic Simcoe. He grinned like a chef who landed the world’s most coveted truffle. 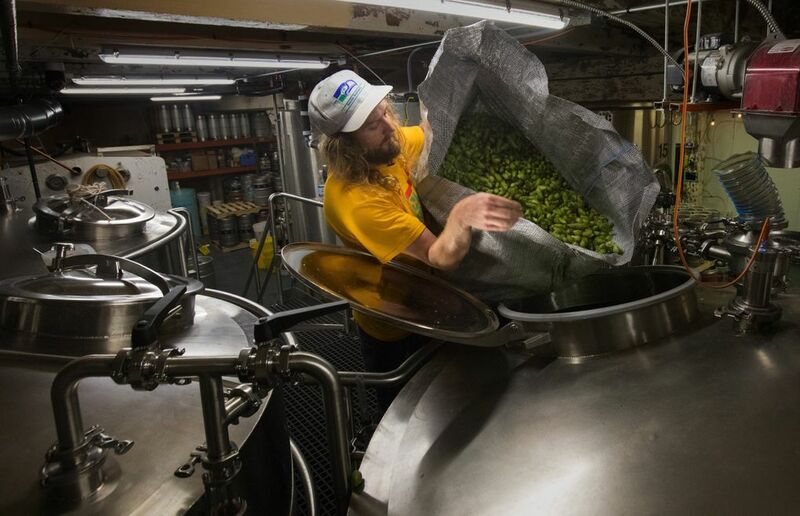 The city of Yakima runs the most famous Fresh Hop Ale Festival in America, drawing up to 8,000 people from around the country. Most hotels have already been booked since July for the festival on Sept. 29. The Pine Box on Capitol Hill, Oct. 9, starting at 3 p.m.
Brouwer's Cafe in Fremont, Oct. 10, starting at 6 p.m. He snapped a cone, rubbed the yellow-dot glands to secrete the oily aroma and nosed it up close. “Ruby grapefruit. Strawberry. I’m getting red Hawaiian Punch,” he said. 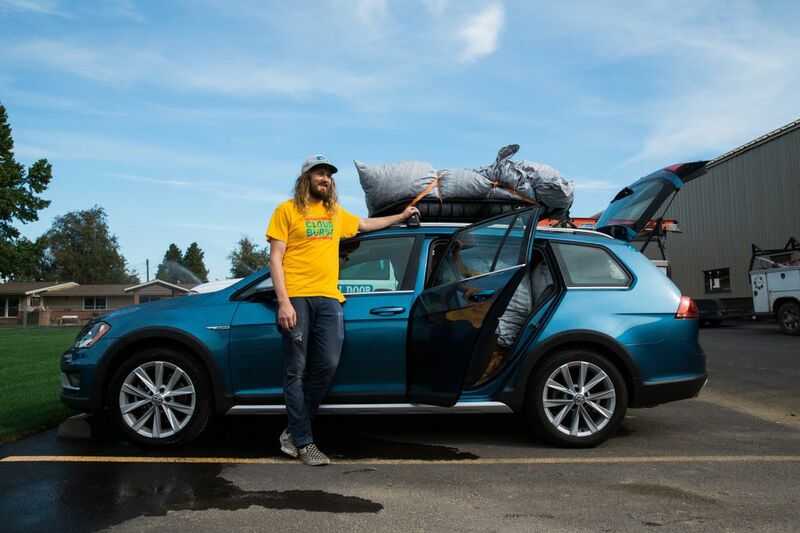 He squeezed 360 pounds of Simcoe into his Volkswagen, a potpourri bowl on wheels. The hop aroma is so soothing to Luke, it scared the bejesus out of him that he might fall asleep at the wheel. He realized he couldn’t afford to be stuck in traffic, but he detoured in Ellensburg for coffee. 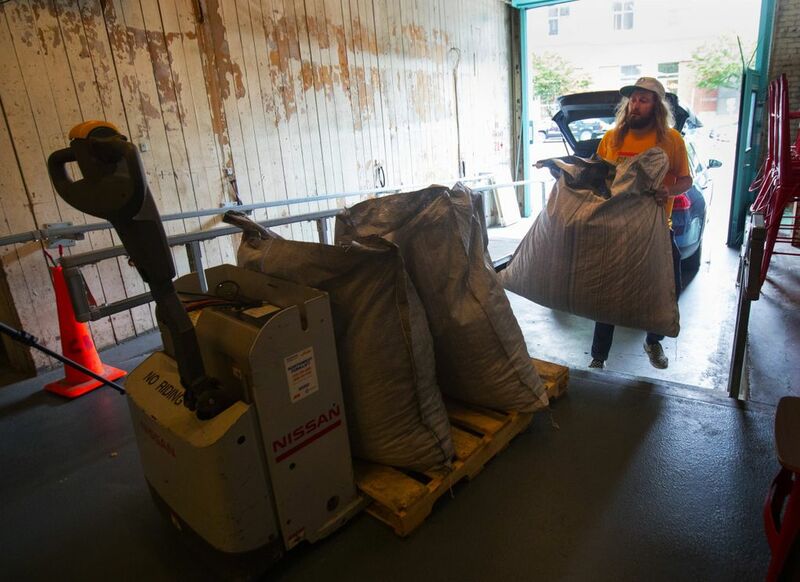 Like clockwork, he arrived at 12:30 p.m., backing into the warehouse to unload eight sacks of hops that eventually were dumped into the boiling tun to make 27 kegs of pale ale. The beer will be on tap Sept. 19 at 2 p.m. 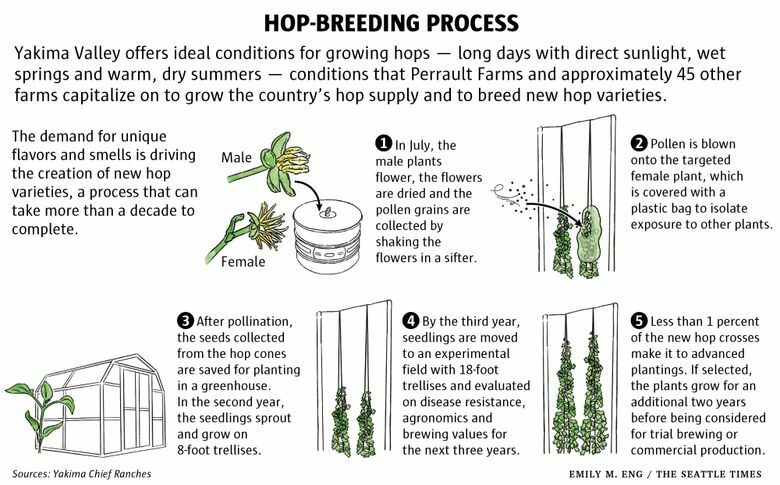 If you see a line at your favorite brewery or craft-beer bar in September, chances are good that the people are lining up for fresh-hop beers. The Noble Fir in Ballard, which runs the city’s most popular fresh-hop event, will get lines up to three hours before the doors open. “The anticipation is the big part of it for beer connoisseurs. It can only happen once a year,” said Rick Weersing, co-owner of The Noble Fir, which will have a fresh-hop tasting at 3 p.m. Sept. 29.